This stunning new addition to our much-loved FOREVER line is full of vitality. 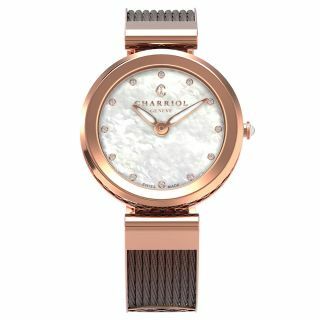 A testament to Charriols extraordinary craftsmanship, this stylish Swiss-made watch shimmers in on-trend pink gold-plated steel. The dramatic black mother of pearl dial features four quirky Arabic numbers in an exclusive pallet of bright colors, the Charriol logo, and seven pink gold marker dots. 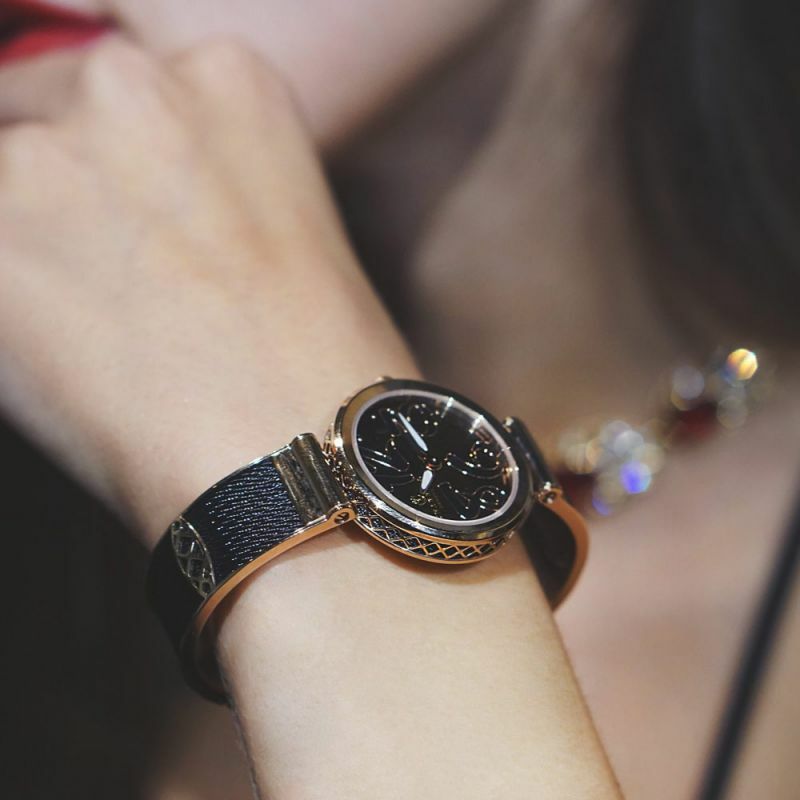 Decorated with our signature cabling and stylish filigree metalwork, the case is a real feast for the eyes, whilst the chic twisted cable bracelet strap finishes the design perfectly. 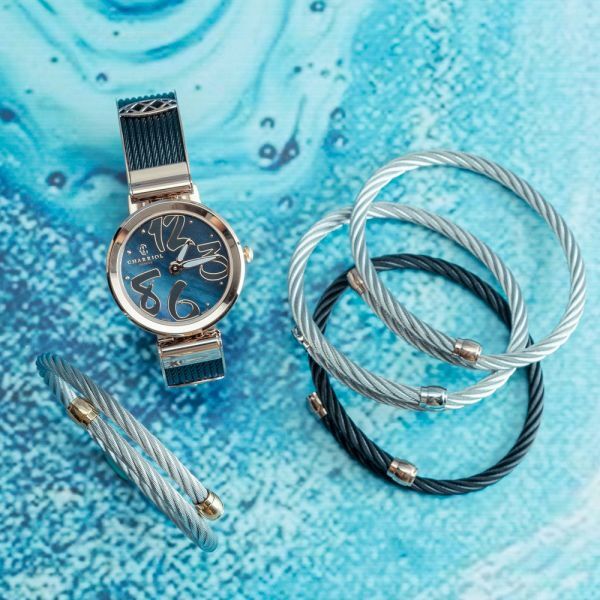 Embodying the same youthful spirit of the jewelry collection, it would pair wonderfully with one of the matching pieces. An edgy watch with elegant style, it is the perfect size for day-to-day wear and would make a lovely gift to mark a special occasion.